Our list of trust-worthy sellers may help you with those "hard to find parts" you want. We place these ads by referral only, meaning that everyone who has a business card posted on this page, has either done business with one of us individually, as a company, or with someone we know and trust, and it has always been a positive experience. 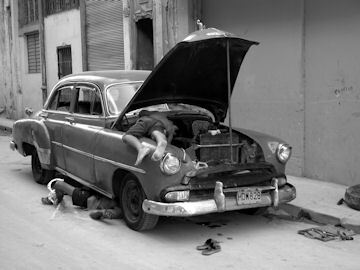 In this way we make sure that you receive the quality parts and the fair price you deserve for your project. If they have an E-mail address it will be posted, if not, a phone number and contact name will be provided. Make sure to let them know where you saw their ad. 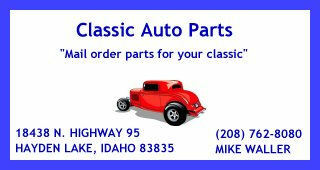 Mike at Classic Auto Parts is a really friendly guy and has a huge acreage of cars and lots of parts for a lot of different cars from A to Z.
Larry has one of the biggest selections in the state of Idaho. 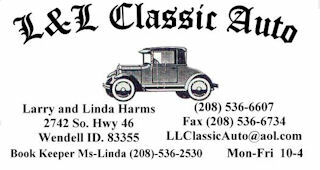 Just email him or call for the parts you need.